This is a drawing of a steam engine train. 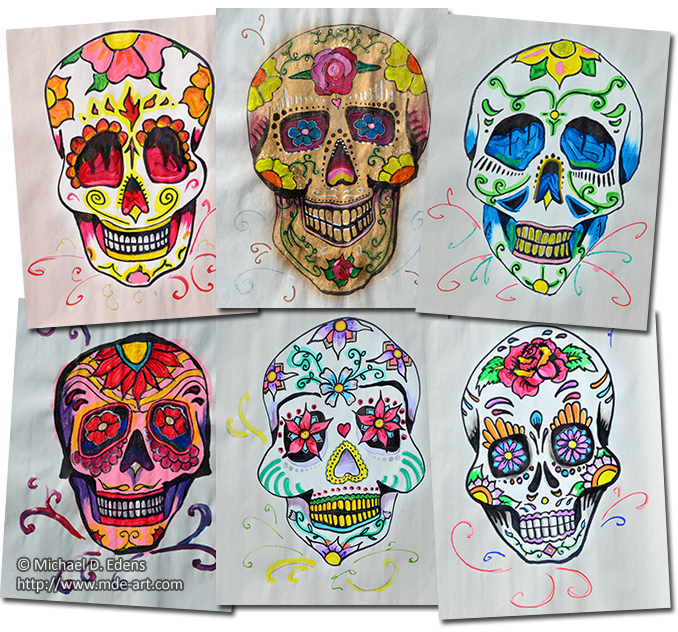 The 9″x12″ artwork was created in 2011 with a variety of mediums, including pens, markers, watercolors, oil pastels, and acrylic paint. 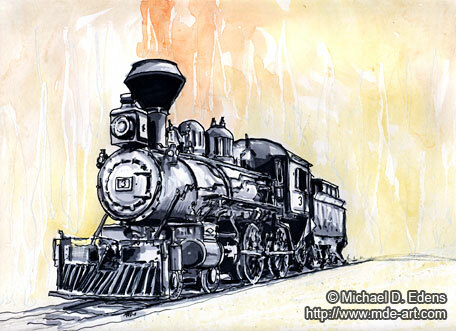 The train was initially drawn with black pen and shades of grey markers. White oil pastel and acrylic paint was applied to the background, followed by a subtle wash of watercolor paint to help enhance the atmosphere behind the train. 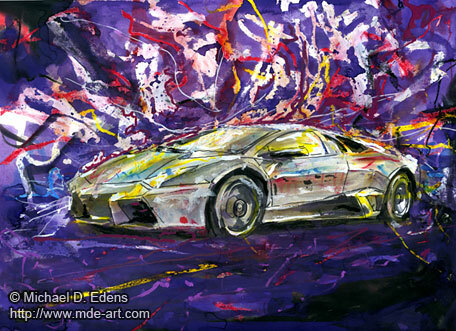 “Lamborghini Reventón” is a 9″x12″ drawing of a car named the Lamborghini Reventón. 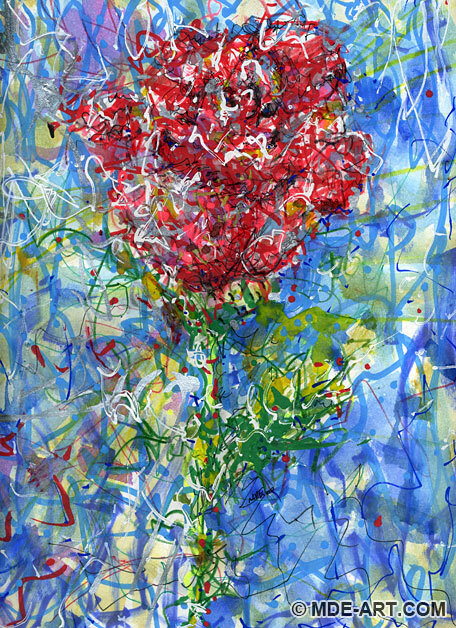 The artwork was created with pens, markers, paint pens, oil pastels, watercolors, gouaches, and acrylic paint. Contrasting colors and expressive lines help to add movement and shape to the foreground, car, and background. The mid-engine sports car is the most expensive Lamborghini road car as of 2007, costing one million euros (~US$1.31 million, or ~£840,000). Phase 1 of the new website for the Wood Library-Museum of Anesthesiology went Live today! 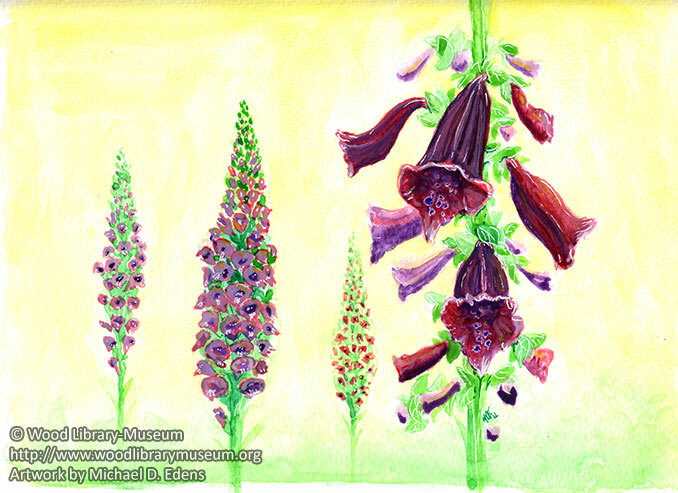 I am excited because I had the opportunity to create artwork for the Museum, Library, Archives, Famous Patients, and more! This is just the beginning too! 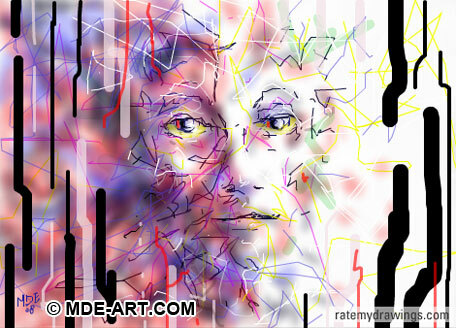 Check it out if you have an interest in art or the miracle of modern medicine made possible by the amazing advances in anesthesia drugs and techniques over the past century. 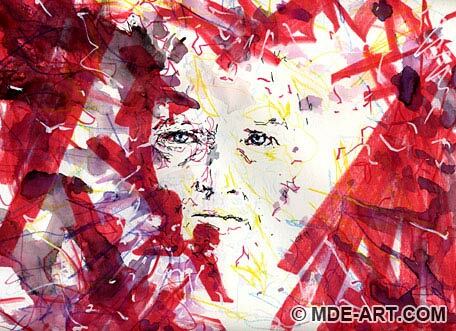 The following time-lapse video shows the drawing/painting process for a portrait of Dr. Paul M. Wood. 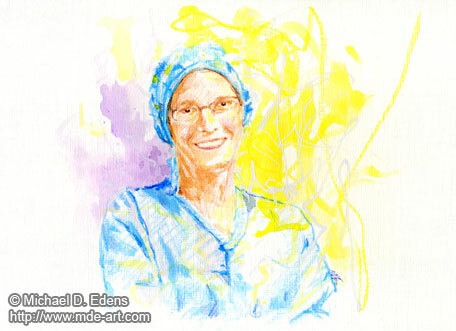 Visit the Wood Library-Museum of Anesthesiology to view the final portrait and more artwork. 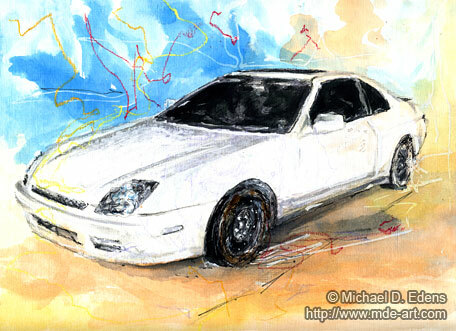 This is a 9″x12″ drawing / painting of a Honda Prelude. 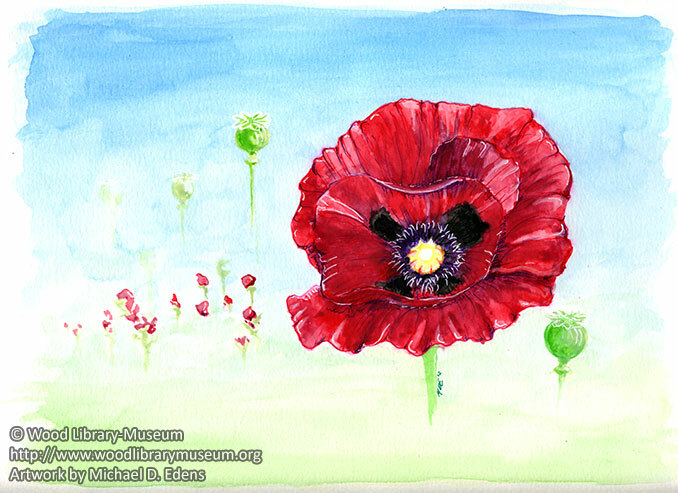 The artwork was drawn with colored pencils, pens, markers, oil pastels, and painted with watercolors and acrylic paint. The white car with a black interior pops from a muted blue and orange background with expressive lines. 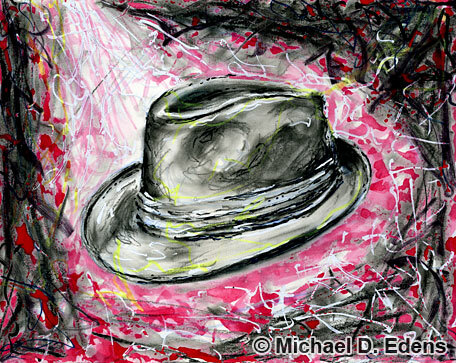 The following artwork is an 11″ x 14″ drawing and painting of a fedora hat, created with colored pencils, markers, oil pastels, pens, watercolors, and paint pens on paper. The fedora was often worn by Michael Jackson (b. 29 August 1958, – d. 25 June 2009) during stage performances and public appearances. The article of clothing became nearly synonymous with his image along with other accessories such as a single white glove, white socks with black loafers, and mirrored aviator sun glasses. 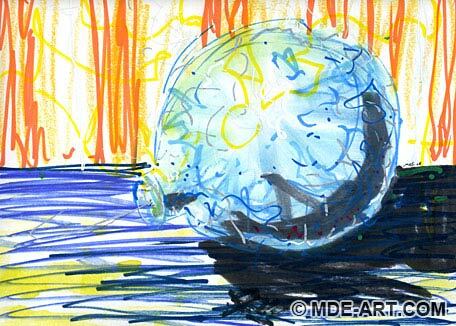 These are two abstract drawings of ornaments, traditionally placed on a Christmas tree. 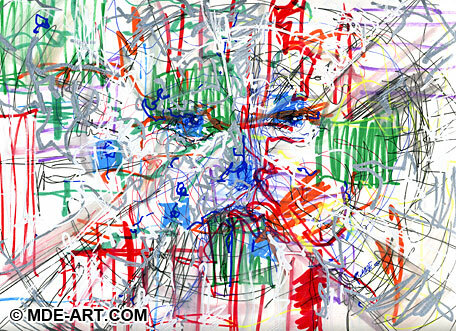 The artworks are approximately 9″x12″, drawn and painted with paint pens, markers, and oil pastel. 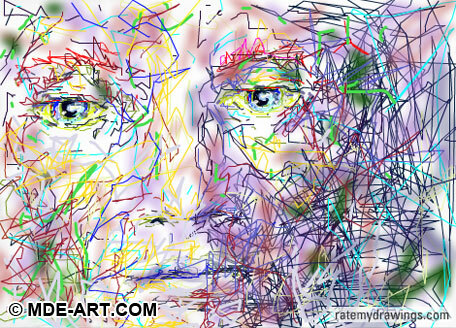 Each drawing reflects a slight fragility and exuberance of an ornament by using wispy lines and bold colors. 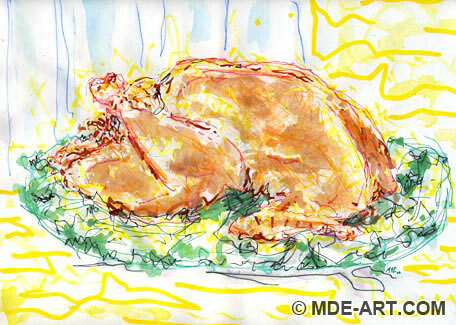 This is a 9″x12″ painting/drawing of a cooked turkey. The turkey was loosely sketched with ink pens and paint pens on card stock paper. 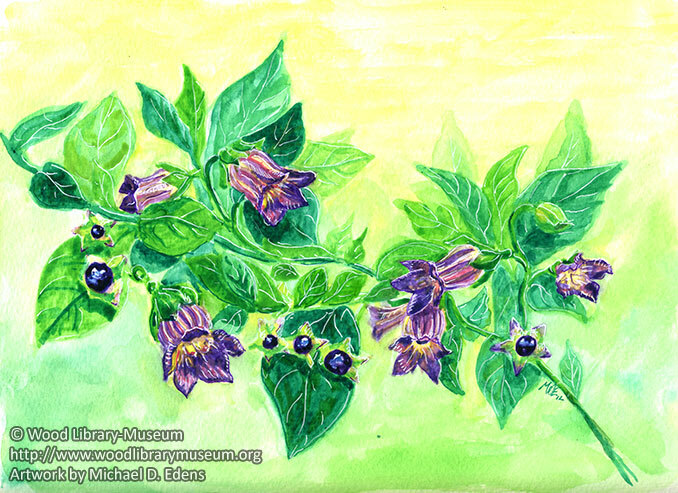 Washes of watercolor were painted over the drawing to soften focus and add volume, followed by white highlights. The pervasive yellow adds a soft glow to the atmosphere, while the frantic linework and alternating shadows and highlights across the entire painting add energy to an otherwise static image. 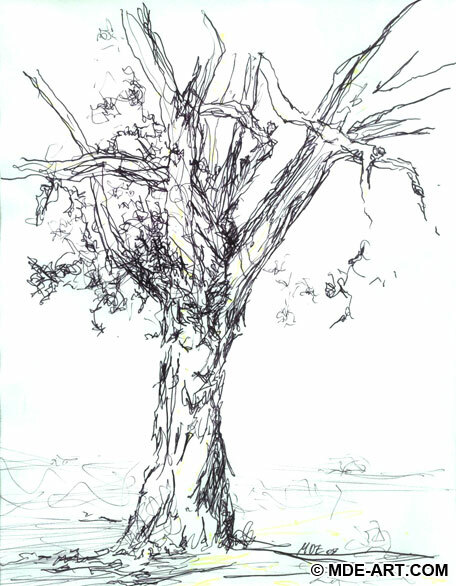 This is a pen drawing of a tree with a few leaves and branches. A faint yellow highlighter was also used to accentuate sparkles of sunlight, but they are not as apparent in the digital reproduction. The tree is a large old Silver Maple tree in its final years. Much of the base has rotted out, and the tree is being prepared to get cut down. So this drawing was created in remembrance of this mighty creature. 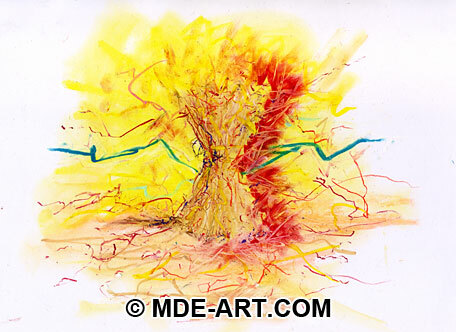 This is an oil pastel drawing of a haystack, created with bright bold colors in a slightly abstract surrealist style. 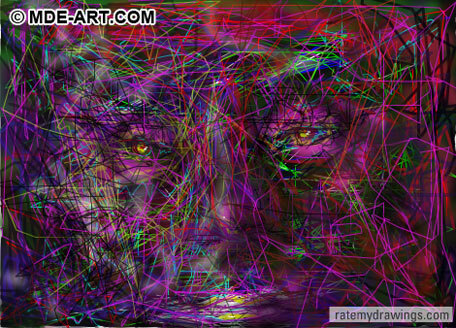 Energetic lines and smudging create the shape of the haystack, which also creates a vertical break in the composition. 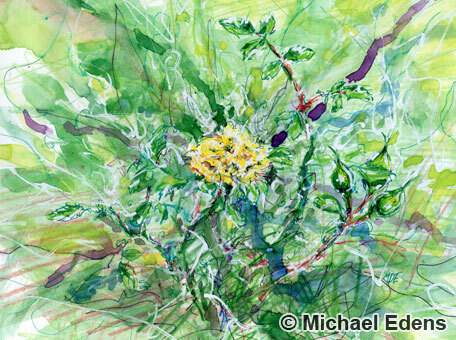 The bright background, foreground, and a bold blue line across the horizon also helps to break apart the image and reinforce a sense of depth and space within the drawing. 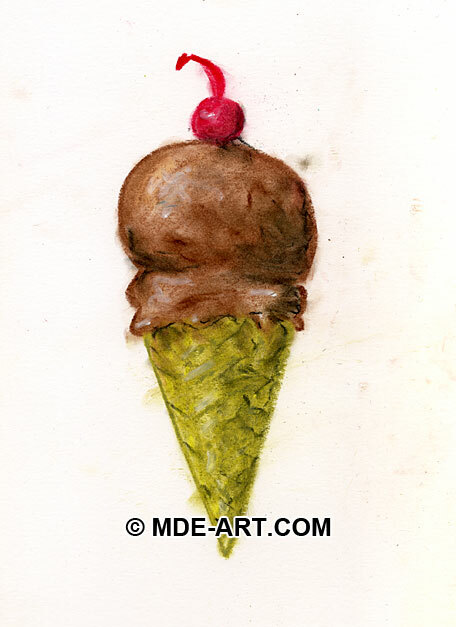 In keeping with the food theme, like the drawing of an apple, here is an oil pastel drawing of an ice cream cone. 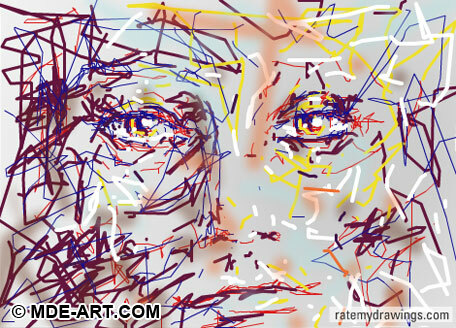 The oil pastel medium lends itself to techniques like blending and scratching, which helps add dimension to the art. The ice cream cone shape and colors were blocked in first, and texture details were added to the cherry and cone. 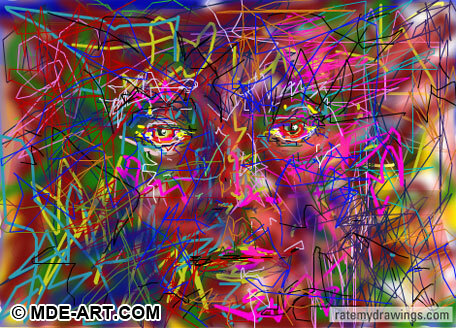 I started by blending the chocolate ice cream with my fingers, and then continued with the rest of the drawing. 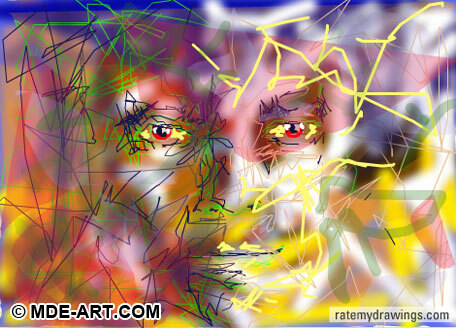 Once the blending was complete a few more cycles of drawing in details and blending were continued. 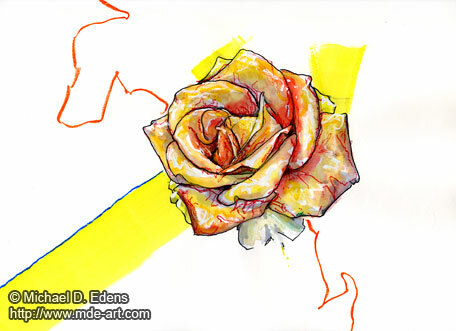 The quick oil pastel sketch was finished by adding a cherry on top. This is an apple drawn with oil pastels. Blocks of color were sketched in to define the shape and form of the fruit, while slight variations in value were also applied in layers. 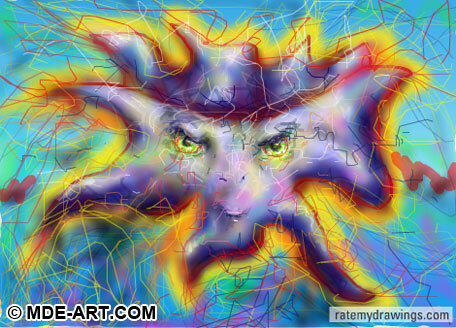 The oil pastel medium lends itself to blending, either with a tool or fingers, which helps create gradient effects. 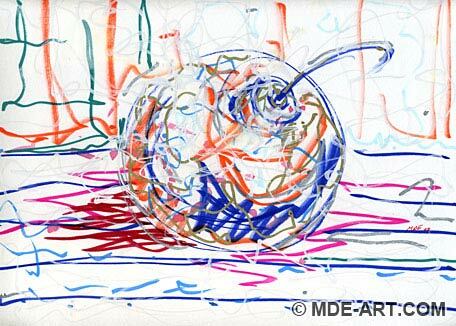 Once the apple was drawn and blended, frantic lines were energetically whipped around and through the apple to add a surrealistic perspective. 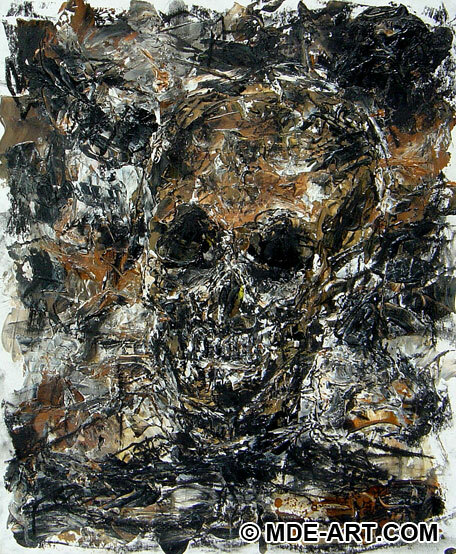 This is a charcoal drawing and acrylic painting of a skull attached to a skeletal corpse. 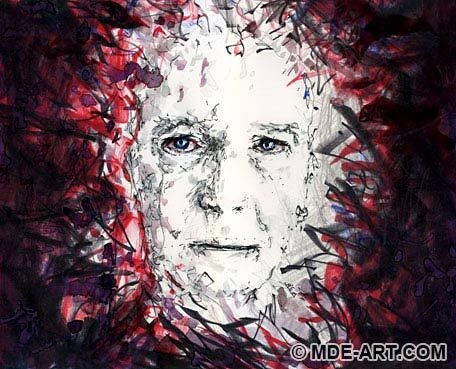 The artwork was initially sketched in 1998 with black charcoal. 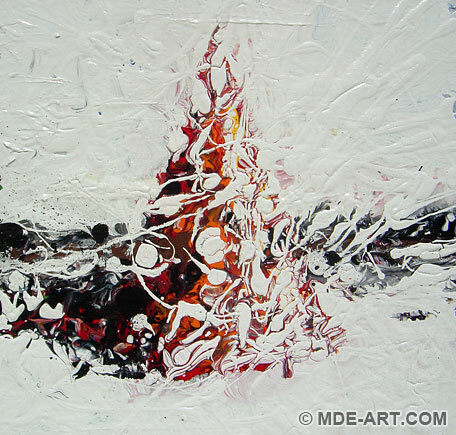 Then black, white, and brown acrylic paint was energetically brushed onto the canvas board with a palette knife. 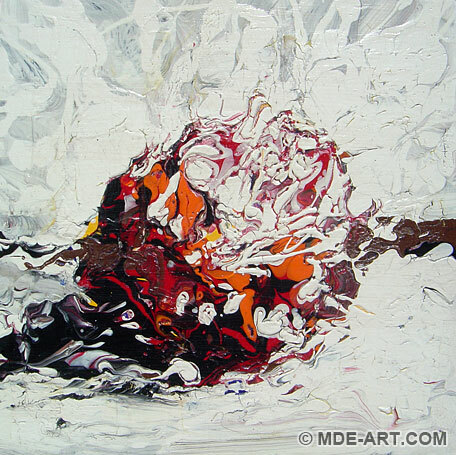 The dark colors reflect the morbidity of the subject, and the way the paint colors are pushed, pulled, mixed, scraped, and twisted around the canvas add a tension and unexpected life to the art. The composition of the skull on the skeleton, with eyes slightly above the horizontal midpoint, help suggest that the subject was posing for a portrait. 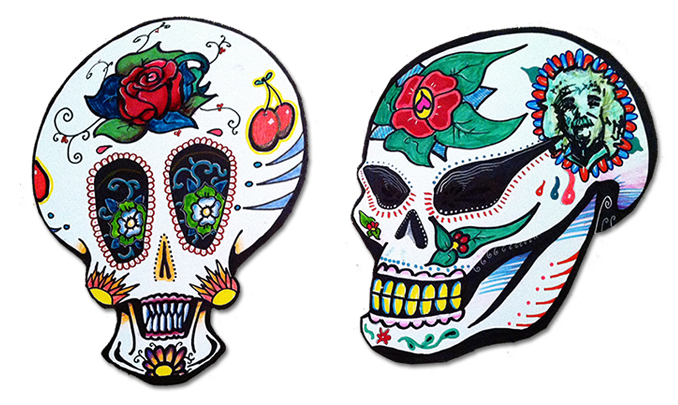 A variety of stylistic approaches have been applied to other skull drawings, such as this Skull Drawing Still Life, and this Painting of a Skull. 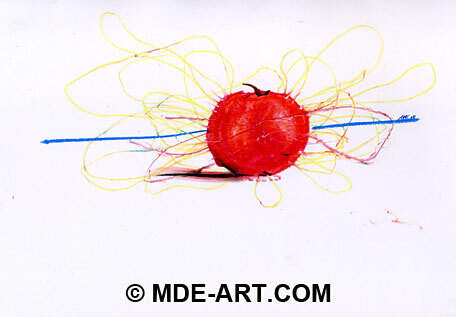 This still life drawing of a Shoe was sketched with colored pencils in 1997. The artwork is approximately 9×12 inches, and the old shoe takes up a lot of space on the paper, thus appearing to be large and solid. 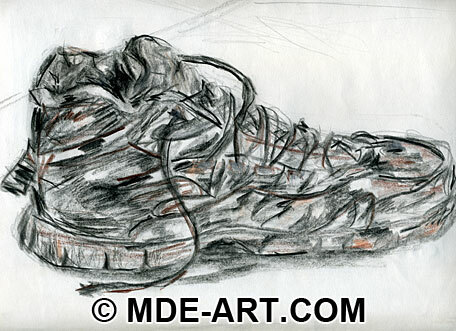 An initial sketch of the shoe was drawn with light grey pencil, and then black was used to fill in shadows and indents in the cloth and rubber materials. 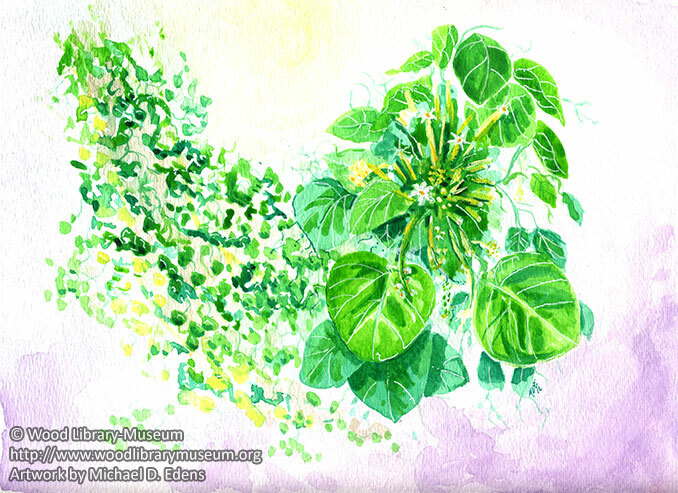 Faint traces of brown color were used to add some warmth to the drawing, and highlights were added by scraping away the colored pencil medium, revealing the white paper beneath. To see similar artworks, visit the Pencil Drawings and Sketches Art Gallery for a Drawing of Shoes. 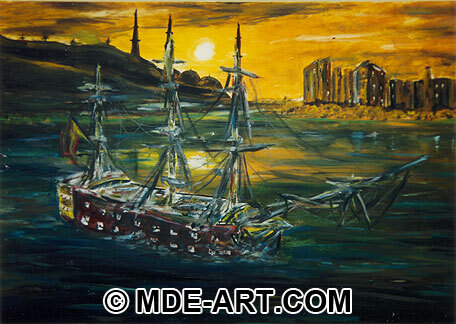 This is an oil painting of an old sailing ship at sunset, which looks vaguely like a ghost ship. The big boat was painted in 1997 and the artwork is approximately 2’x3′. The background sky and sunset were painted first, followed by the glowing hills and buildings. 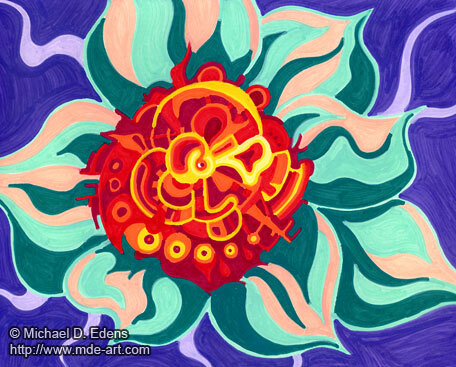 Water and reflections were painted next, simply by mirroring the shapes and colors painted above. 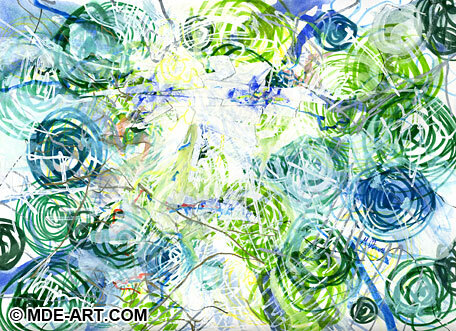 Deep greens and blues were added to the murky water, and there is some tension created by the bright sun disappearing into the surrounding darkness. Lastly the boat and foreground were painted with similarly brisk brush strokes. Details like rope, flags, netting, sails, and waves splashing around the ship were painted last.